October | 2011 | IS THERE JUSTICE IN THE CHURCH OF GOD IN CHRIST? In the link BISHOP SAMUEL P. NESBITT; THE WHOLE TRUTH, read what really happened with Bishop Holsey in Deleware as well as some other issues facing the leadership of the COGIC. You can also click on this link to read the Whole Truth . There Are Wolves Among Us!! I have stated before, there are those in COGIC who are working very hard to correct the abuses that are happening, we praise GOD for them and pray for them. To the wolf/hirelings, those who feed on the sheep, who bite them, spiritually wounding them, scattering them. GOD says “Woe be unto the pastors that destroy and scatter the sheep of my pasture! saith the LORD.” (Jeremiah 23:1, AV). Bishops are not exempt from these instructions. 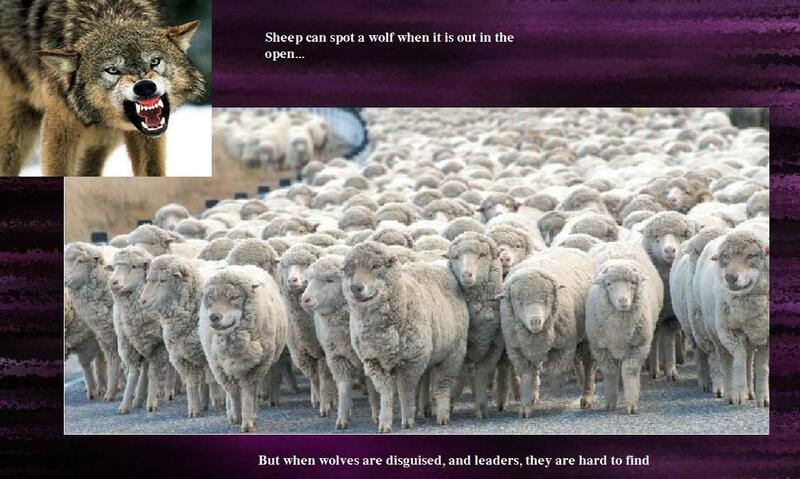 Who protects the flock when the leaders cause the flock to scatter? Neither the sheep, nor their pasture belong to the wolf/hireling, they are GOD’S heritage, GOD’S pasture.